Our Priory Youth Theatre returns with David Wood's adaption of Roald Dahl's classic tale. 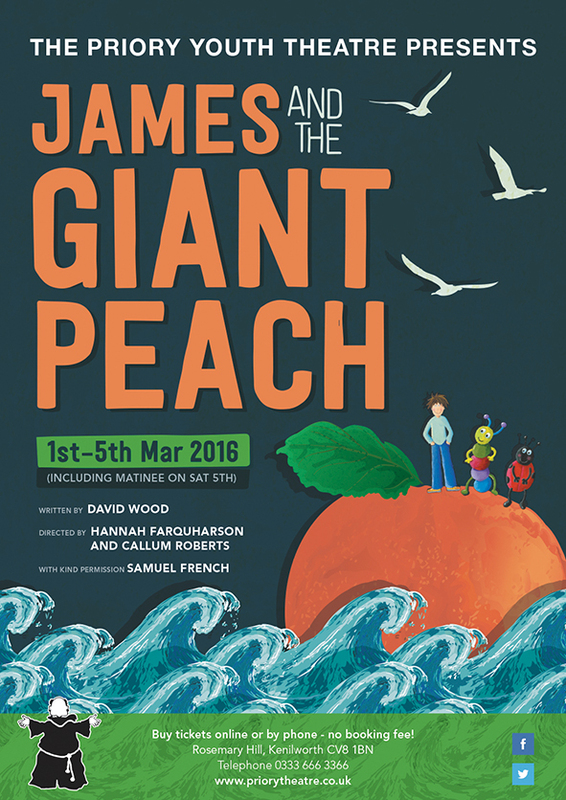 Directed by Callum Roberts & Hannah Farquharson, James and the Giant Peach sees the classic tale faithfully told by James himself and the insect characters – Miss Spider, Old-Green-Grasshopper, Centipede, Ladybird and Earthworm. The play begins at the end of the story, when James and his friends are living in the giant peach stone in Central Park, New York.